Hello & Welcome. Here you can find out more about me, my clinic and acupuncture in general. 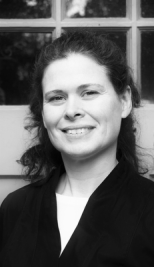 I am a traditional acupuncturist, located in South Oxfordshire between Henley-on-Thames and Reading. Here you can find out about me, how acupuncture works and what you can expect when you come for treatment. Traditional acupuncture is a healthcare system based on ancient principles which go back nearly two thousand years. People seek treatment for many reasons, from muscular aches and pains, to migraines, depression or simply to feel more energetic and better in themselves. The underlying principle of acupuncture treatment is that illness and pain occur when the body's 'qi', or vital energy, cannot flow freely. By inserting ultra-fine sterile needles into specific acupuncture points, the treatment seeks to re-establish the free flow of qi to restore the body's equilibrium and trigger the body's natural healing response. If you are wondering whether acupuncture can help you, if you have any questions or would like to book a consultation please contact me on 07711563117 / 01491 628233. Clinic located in Rotherfield Peppard, close to locations in South Oxfordshire and Berkshire including: Henley-on-Thames, Sonning Common, Emmer Green, Caversham Heights, Kidmore End, Stoke Row, Checkendon, Nettlebed and Rotherfield Greys. © Rebecca Hodson 2018. All rights reserved.